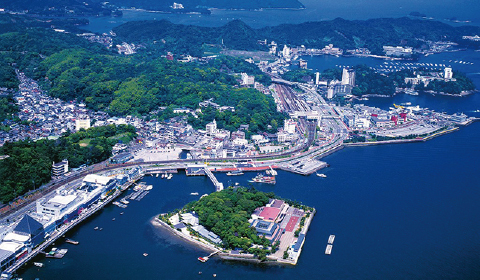 Ise-Shima abounds with enchanting sightseeing spots, from historical gems such as the Japanese spiritual home of Ise Shrine to the pearly charm of Toba and the natural beauty of Shima’s coast. 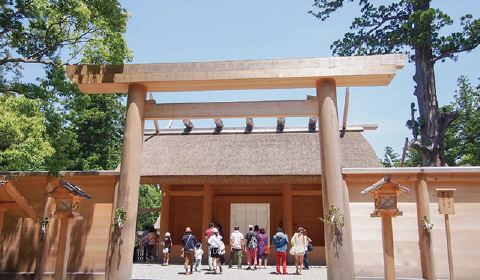 Kotai Jingu, or Naiku is one of two main sanctuaries at Ise Jingu. Naiku is dedicated to Amaterasu Omikami, who is the ancestral kami of the imperial family and the most highly revered kami in the Shinto tradition. 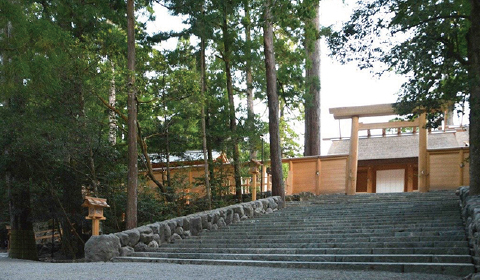 Toyouke Daijingu, or Geku is one of two main sanctuaries at Ise Jingu. Visitors customarily go first to Geku and then to Naiku. Geku is dedicated to the deity Toyouke Omikami, who is responsible for the harvest. 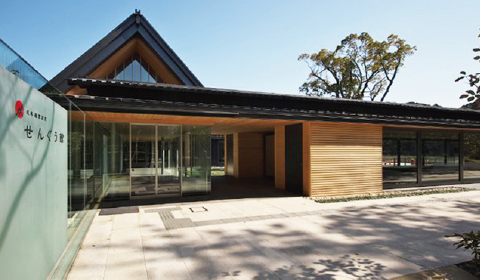 Kogakkan University is located in a lushly green, natural environment near the sacred shrine precincts of Ise Jingu. 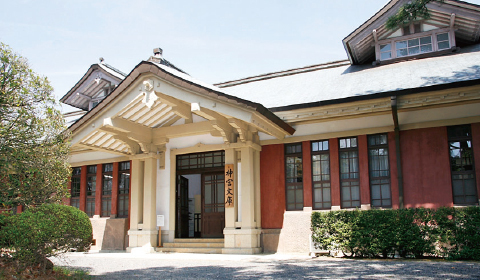 Founded in 1882, it has faculties of Education, Letters, and Contemporary Japanese Society. 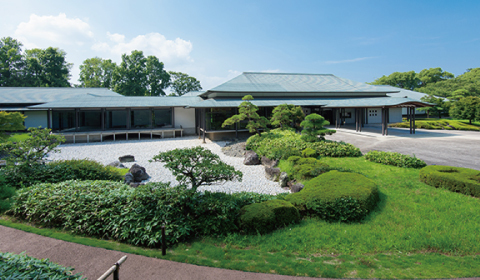 Kogakkan University's Museum of Shinto and Japanese Culture introduces Japanese history and traditions connected with Shinto. The exhibits include content related to festival utensils, food offerings, and rituals. This is a museum to introduce the ritual of the Ise-Jingu,Shikinen Sengu.The exhibit shows the general idea of Matsuri held at Ise-Jingu, including the replica of Shoden, the main shrine for worshiping the Kami(God), as well as the production process of the Onshozokushinpo - divine treasures and garments for Kami. 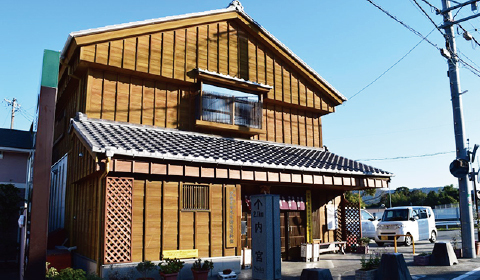 The museum was completely remodeled after the 62nd sengu in 2013, and it holds about 13,000 items. Many of these are connected to the sengu, including scrolls and decorative pieces that were part of Jingu. 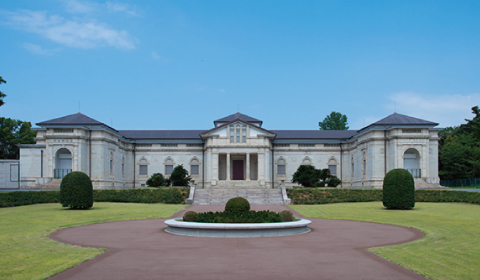 The official name of the museum is the "Jingu Museum of Fine Arts to Commemorate the Periodic Moving of the Deities." It was built in 1993 on the occasion of the 61 sengu. There are works of calligraphy, paintings, and sculptures on display. 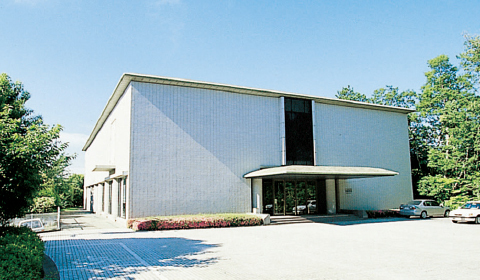 The Jingu Library holds about 260,000 volumes and its collection boasts materials from the premodern period. Many of its holdings are related to Shinto and Jingu. 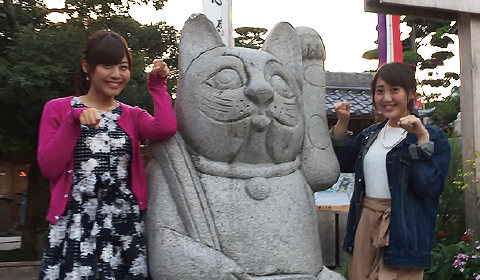 It is located near the Kogakkan University Museum of Shinto and Japanese Culture. 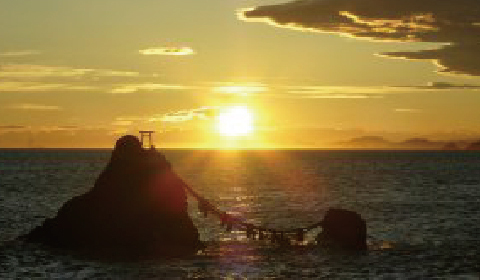 A shrine where lovers’ wishes come true, visitors to Futami Okitama Shrine can venerate the spirit stone (Okitama Shinseki) of the deity Sarutahiko, which lies 700 meters out to sea beyond the Meito Iwa (The Wedded Rocks). 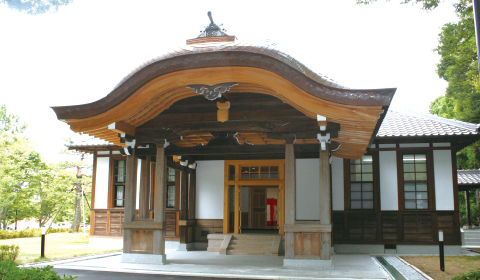 The shrine is associated with good luck in matchmaking, marriage, traffic safety, and expelling evil spirits. In premodern times, this neighborhood was a busy port that goods and people from all over the country traveled through. Today, several traditional buildings remain, recalling its commercial past, and some of these have been converted to restaurants, cafes, and shops. 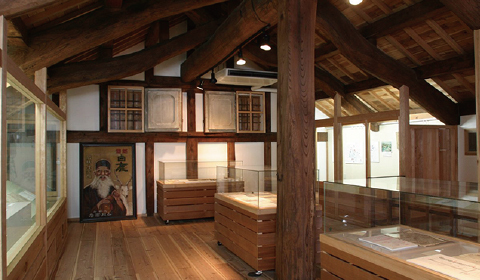 Ise Furuichi Sangu-kaido Museum conveys the prosperous history of the Furuichi neighborhood. 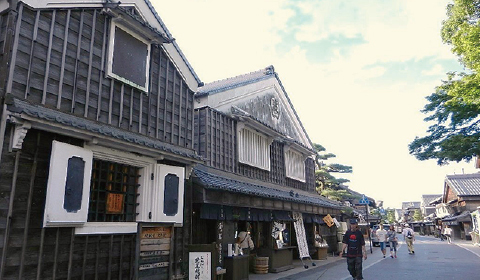 While enjoying the museum materials and videos, visitors can learn about the history of the sangu-kaido—the road which ran between the Inner Shrine and Outer Shrine areas— the amusement activities partaken by the pilgrims after their long period of abstinence (in the entertainment district), and the local performances of Ise Kabuki, which served as a gateway to success in the professional licensed theatres of Edo, Kyoto, and Osaka. Experience the world of Japanese topknots!! 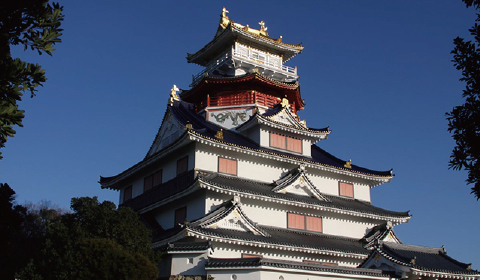 At Ise Azuchi Momoyama Cultural Village, the traditional streets, centered around a full-size replica of Azuki Castle, also feature a Ninja Theater with a live ninja show and an Experience Hall where, for example, visitors can try their hand at karakuri puppetry in the Ninja Fortress. The Toba Observatory offers splendid panoramic views of the surrounding area. Located on the Pearl Road running along the coast between Toba and Shima the Toba Observatory stands at 163m above sea level, offering a superb view of Ise-Shima’s ria coast and the horizon beyond. Off the coast of Futamiura are the Meito Iwa, a couple of small rocky stacks that stand happily side-by-side. On a clear day, visitors can even catch a glimpse of Mount Fuji between the rocks! The mythical sights of Futamiura soothe all who set foot on this wonderfully diverse coastal site. Ago Bay is a beautiful coastline peppered with islands and peninsulas of various shapes and sizes. 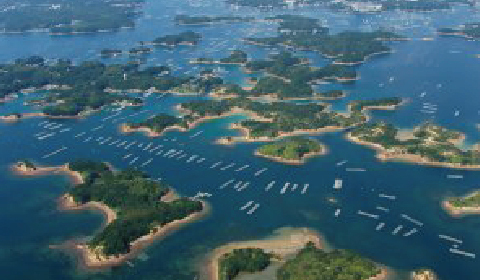 It is also part of the Ise-Shima National Park and is the largest pearl farming area. The view of the bay in the early evening is exquisite beyond words and can be enjoyed from both the Yokoyama Observatory Deck and Tomoyama Park. 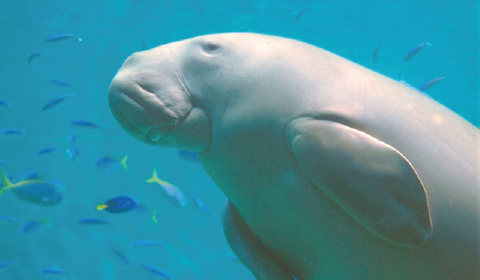 With around 1200 marine and freshwater species, Toba aquarium has the most species of any aquarium in Japan! The Aquarium is divided into 12 different zones and holds delightful sea lion and walrus shows daily, keeping visitors amused all day long. Bindama Road is an art project consisting of 80 glass fishing floats (bindama) lined up along the seafront road. Each float is fitted with orange LEDs that light the way like a sprinkling of stars. 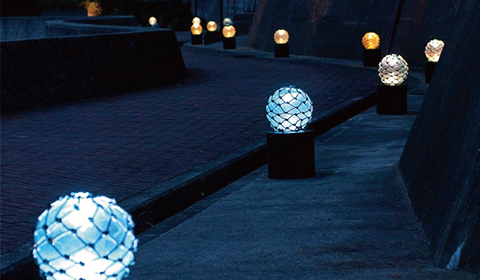 In the evening, atmospheric lights illuminate the spherical floats, giving the road a romantic feel. Visitors can enjoy the soothing atmosphere created by the lights. Iseshima Skyline is a 16.3km driving route that runs from Ise Shrine (Inner Shrine) to Toba along the crest of 555m high Mount Asama. 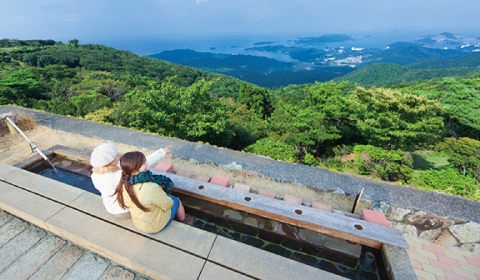 From the observatory at the top of the mountain, visitors can enjoy a panorama of Ise-Shima, as well as a spectacular view past Ise Bay to Aichi Prefecture. 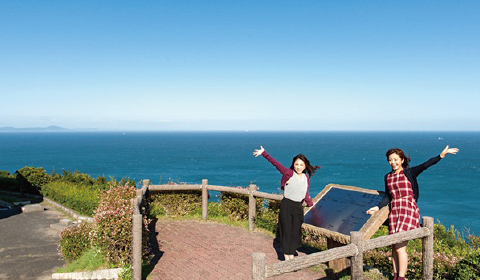 On a clear day, you may even catch a glimpse of Mount Fuji in the distance. 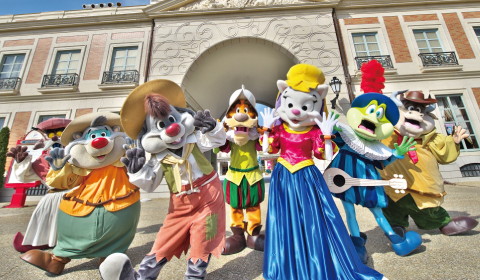 Introducing Shima Spain Village, a theme park brimming with Spanish charm. With 28 different attractions including the world’s largest inverted roller coaster, “Pyrenees,” Parque Espana offers non-stop fun for adults and children alike. Visitors can also get their fill of genuine Spanish cuisine and Spanish goods shops. 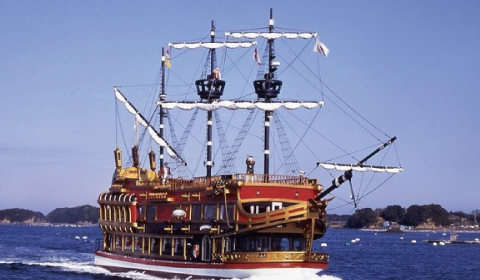 Take the Kashikojima Espana Cruise for an enjoyable trip around Ago Bay in a luxury boat complete with a viewing deck. The cruise also includes a stop at a pearl model factory, where visitors can observe the staff performing the nucleus insertion process. 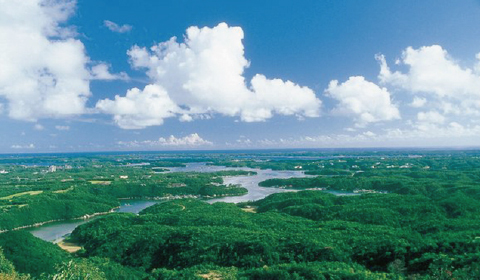 Ise-Shima National Park is characterized by its unique landscape—the result of a stunning combination of natural beauty and man-made historical cultural gems, such as Ise Shrine. The area enjoys warm all year round and offers an abundance of coastal plants and unique landforms such as sea cliffs and sea caves.